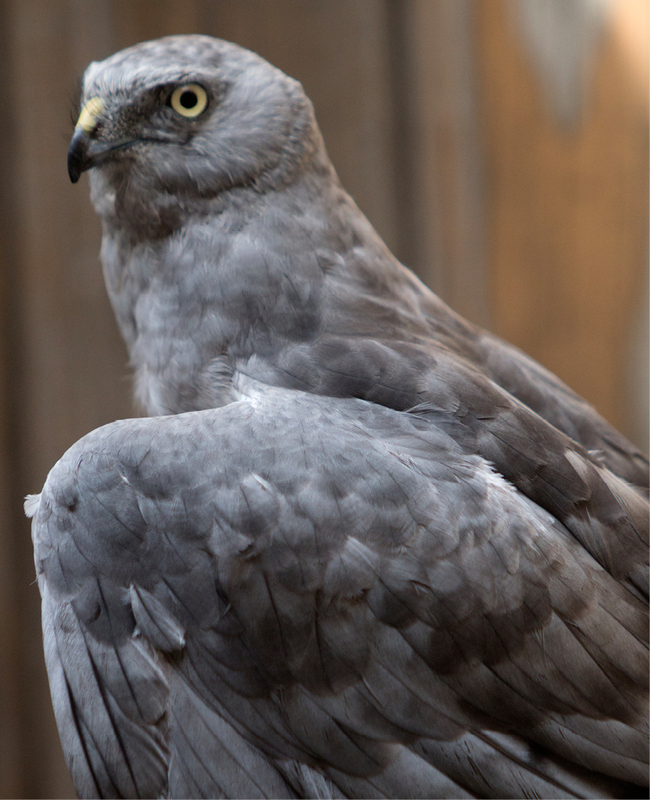 Our Northern Harrier was transferred to VINS in 2003 after being treated at an Avian Haven in Freedom, ME, as a young bird. 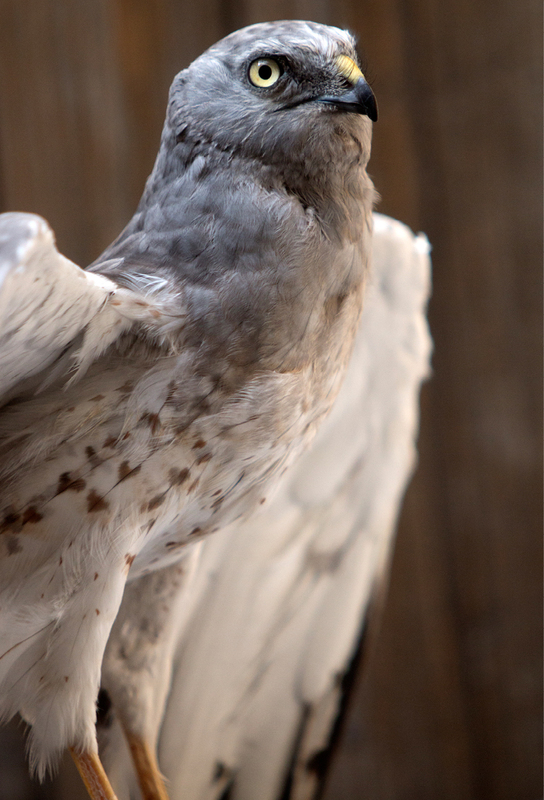 The tip of his right wing is missing and some of the remaining feathers have permanent follicle damage, after an accident with a tractor on a farm field, resulting in his limited flight ability. Of all our permanent residents, Freedom has needed the most medical attention in recent years. He is prone to a foot condition called bumblefoot, which caused him to develop a wound which required daily care for many months. In his aviary, Freedom has a variety of perching surfaces of different sizes and textures to prevent future foot problems for this grassland hunter. 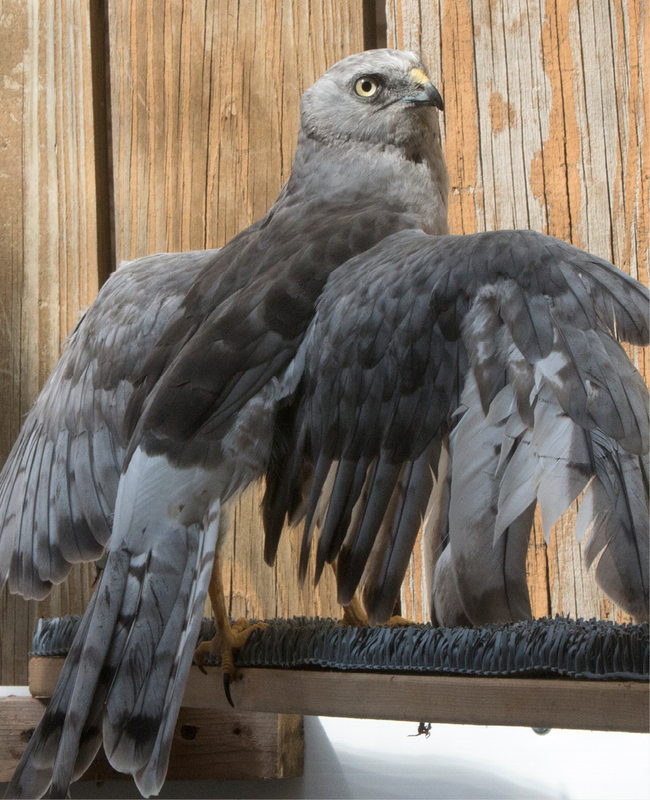 Thank you for helping support the care of our Northern Harrier, Freedom, through the RISE Adopt a Raptor Program. Together, we can protect our natural heritage through education, research and avian wildlife rehabilitation.